.PRB. Runnin’ Game Tank – .PurpleRubberBand. The .PRB. 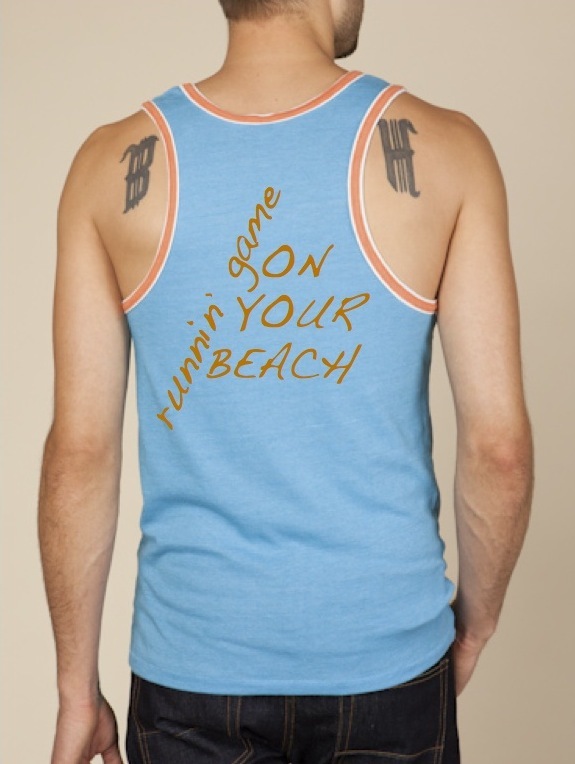 Runnin’ Game Tank was originally designed for the Guerrilla Beach Whiffle Ball League sponsored by PRB. Geared towards those who are ready to take over the beach with a sense of humor and high level of game.